Deep Village Digital Records “Disco Days EP” is set to drop just in time for Miami. 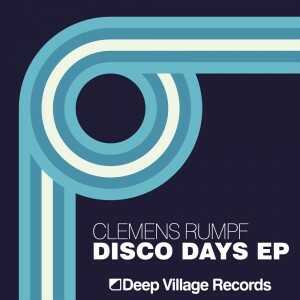 Clemens Rumpf opened his box of tricks and crafted his passion into 2 energetic tracks of old school disco house. Deep Village Digital Records has worked with dance veteran vocalist, David A. Tobin to produce an EP that any house music enthusiast will love. This is Disco House music at it’s very best!!!!! Thank you all for the love and support! Please treat our music with respect and don’t share the files for free! It kills all our labels, artists and especially the thing we all love – House music.